Traction Power State Key Laboratory, Southwest Jiaotong University, Chengdu, China. 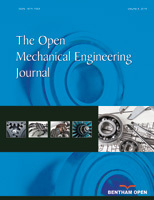 Aimed at the safety problem of the locomotive under the dynamic braking condition, this paper analyzes the influence of the coupler and buffer system. The coupler reposition methods of the large rotation angle coupler and the small rotation angle coupler under longitudinal coupler press force were compared. The influence of coupler and buffer system to the dynamics performance of locomotive was researched through dynamic simulation. Results show that the longitudinal coupler press force afforded by large rotation angle coupler with coupler shoulder, is larger than that of small rotation angle coupler.